Demi Lovato has been busy singing across Central and South America on her recent tour, but she took some time off to explore Mexico – on horseback! Along with some friends, the singer hopped in the saddle Wednesday to take in the country’s sights. 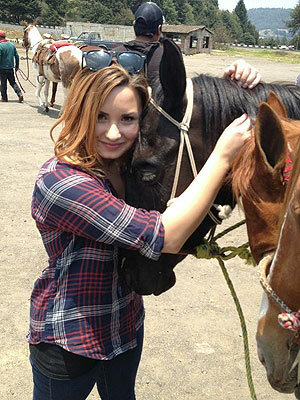 Lovato “had a special connection with her horse,” wrote William Beaman, who documented much of the ride on Twitter. At one point, the star went riding in a line with two of her friends. “We ride together we die together! !” Beaman Tweeted.